Morning guys, more snow here today so another day in the house for me. To pass the time, I thought I would discuss my blogging tips for some light Sunday reading. I have been running 'A Touch of Tartan' now for a little over two years and I have been receiving emails from fellow bloggers about how best to promote your blog and gain loyal readers. I can tell you that it won't happen overnight and a lot of work and commitment is required but if you focus on topics that you love and enjoy writing about, you will find that blogging is not only enjoyable but rewarding at the same time. On top of that, blogging is a great way to meet new friends from across the globe. Okay, so here goes, as I said Rome wasn't built in a day but here are my top tips for a successful blog with loyal readers. Try to post as often as possible, whether that be daily or weekly. You should try to post at least twice per week. I often fall short of this if my day job gets in the way but when starting off, try to post as regularly as you can! Focus on topics that you love and that represents you. If you're a fashion/beauty blogger, post about your style or style that mirrors what you're comfortable with. Never collaborate with brands that don't represent your style or you. Your readers will get to know your taste and you're credibility has to be your number one priority. State when you have received a sample from a brand or are receiving remuneration for a post. If you are posting personal style photographs, always focus on your lighting. Stay away from the shadows and if possible, use a good camera. I use a Nikon D3200 with a 1.8 lens. Its the lens that blurs the backgrounds. Take advantage of social media - post your blog posts to Twitter, Facebook, Instagram, Pinterest and Google + ... just to name a few! For those of you interested in gaining some more tips and tricks on blogging, I am giving away the ultimate blogger tips package to one lucky reader. The package consists of the top 4 blogging books on Amazon - Get Rich Blogging; Blogging Your Way to the Front Row; Blog Inc and Blogging for Creatives. The books cover all types of blogs from Fashion and Beauty to Food and Lifestyle Blogs as well as Tech Blogs. If you fancy your chance at winning this package, please enter the giveaway using the widget below. The giveaway will run until 29 January and the winner will be announced on 30 January. Readers can gain more entries to the giveaway on a daily basis by tweeting etc. 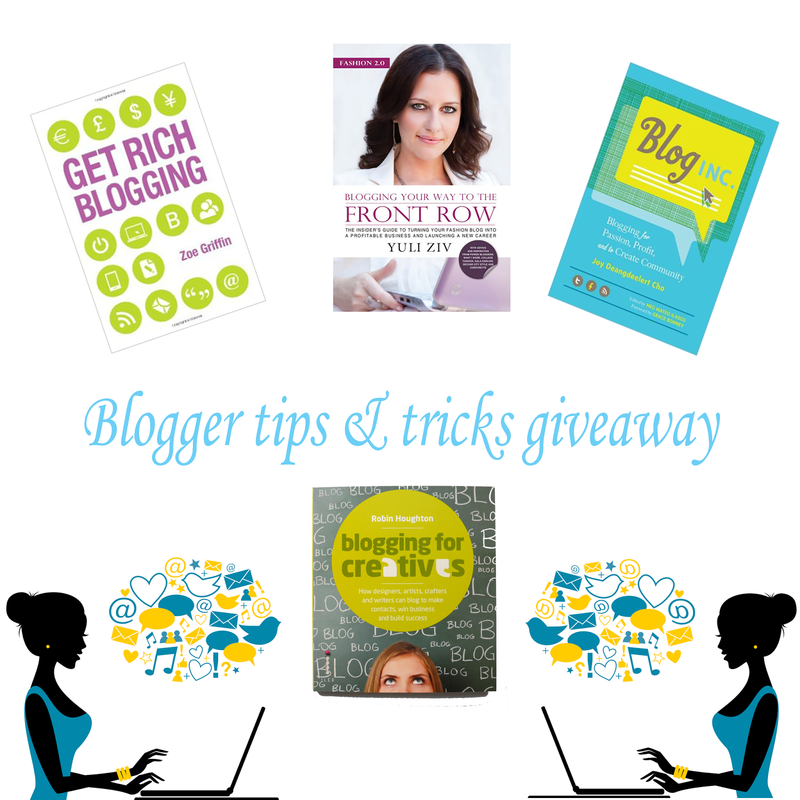 Thanks for sharing your blogging tips and this amazing giveaway! Great tips! 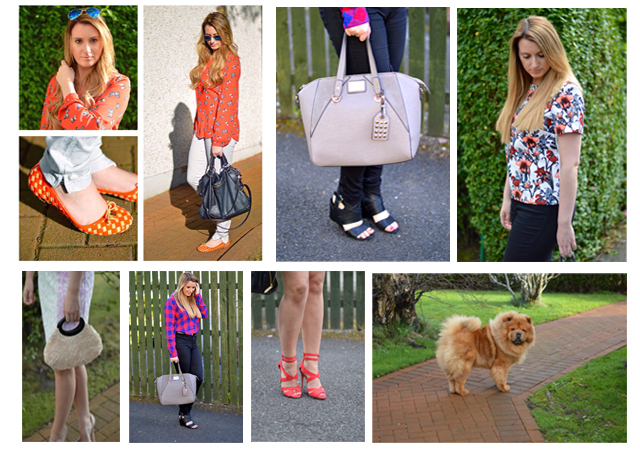 :) It's lovely to come across a blogger that was born here in Northern Ireland! Thank you for this! Great tips!